Thin hair can be caused by so many different factors like hormones, hormone changes post birth, medication, anesthesia, stress, malnutrition, food sensitivities, health not being at optimal levels, bad hair styling tools, exposure to different chemicals and so much more. My first recommendation to all my clients with thinning hair is to try and work on what is causing hair loss internally, while I work on making them look great externally. My number one goal is to ensure each of my clients maintains or improves the health of their hair. If I know/think/suspect that something will cause damage to any of my clients’ thin hair, I will advise them to not get the service done and help find alternatives. 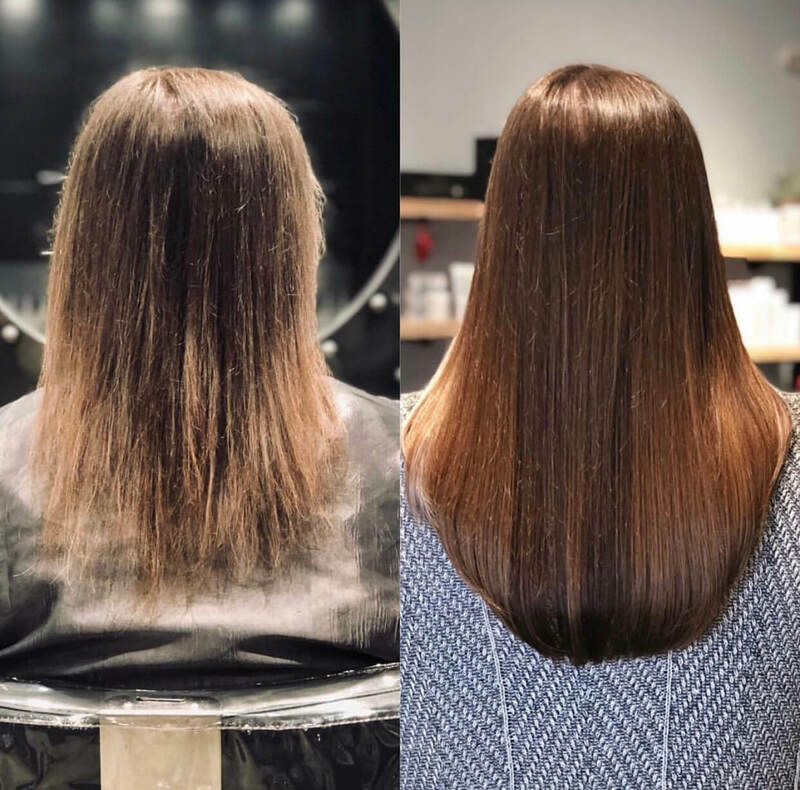 This amazing woman came to me, and because her hair was so delicate, I was not 100% sure her thin hair could handle hair extensions, so I did what I call a “Test Run”, and put a few rows of custom-size/tiny bonded hair extensions throughout her head. I did check ups on her every few weeks for a total of 6 weeks, to assess her hair health and we decided that in fact her thin hair could handle hair extensions without ripping her hair, so we went for the fuller versions this time. Here are her before and after pics. I love that she wanted to play up net natural grey streaks and she now looks like a superhuman from X-Men!